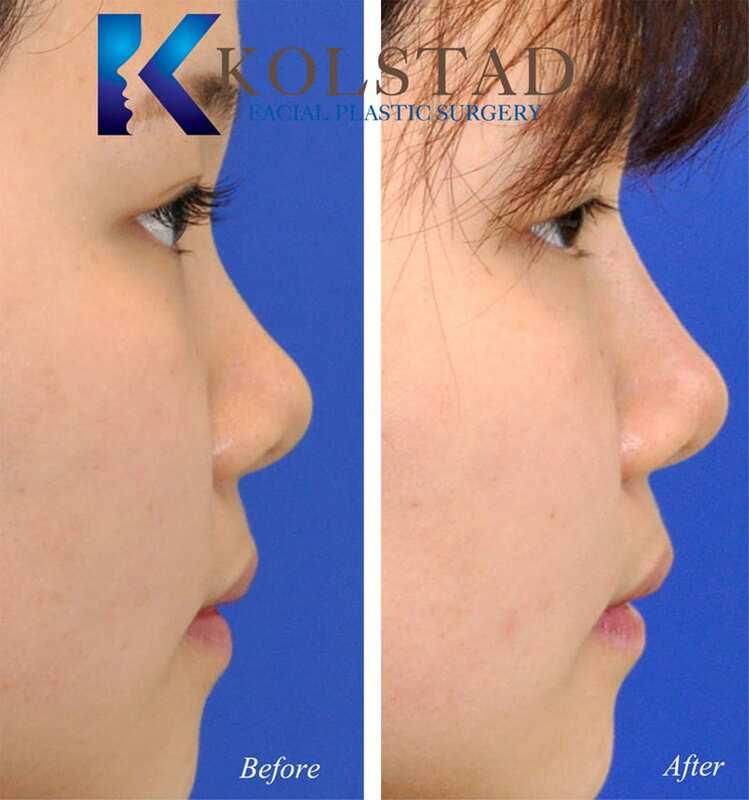 A common request at Kolstad Facial Plastic Surgery is to increase the size of the bridge of the nose. Many of our Asian patients have trouble getting glasses to fit because the bridge of the nose is relatively flat across the face. If you are happy with the size and proportions of your nasal tip and nostrils but would like to increase the size of the bridge of your nose, there are 2 options. In the office injectable fillers like Juvederm or Voluma can be placed along the bridge of your nose to add height. There is minimal downtime, it is economical, and the fillers last about a year. 2) Bridge Augmentation rhinoplasty: If you are only concerned with the bridge of your nose a limited rhinoplasty can be performed to place a graft to increase the height of the nasal bridge. Cartilage, silicone and gortex all have the same longevity in that they are all considered permanent. All three grafts are frequently used to augment the bridge of the nose. If you ask 10 different surgeons you will get 10 different opinions on which material is the absolute best choice and why you should avoid the other two. I believe them all to be acceptable options that can lead to good results. Silicone implants come presized and Gortex needs to be sculpted by the surgeon. Both are synthetic and have the potential for infection. That being said, hip replacements, heart valves, and hundreds of other implants are safely and reliably used throughout the body. Cartilage has less risk of infection, needs to be expertly sculpted, and his the risk of warping over time. Because there is no clear best option all three grafts are routinely used and every surgeon will likely have a preference for one. Have more questions about rhinoplasty in San Diego? Please visit our rhinoplasty page to learn more about this type of surgery. Don’t forget to visit our gallery of before and after pictures of Asian rhinoplasty. 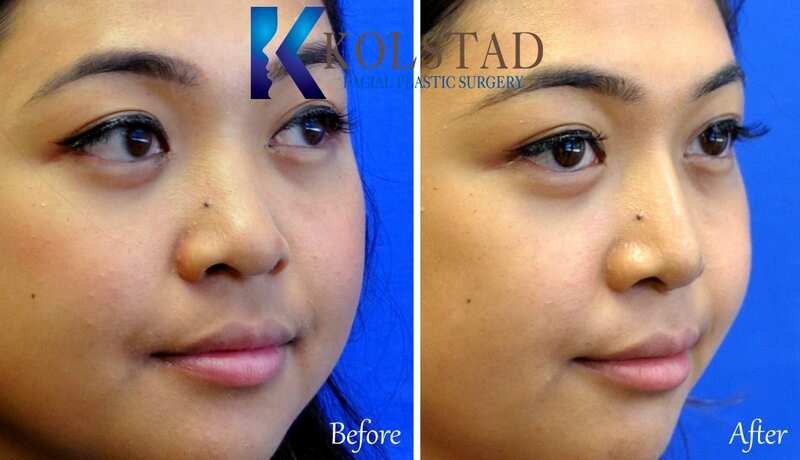 If you would like to know more about Asian rhinoplasty in San Diego simply schedule a consult with Dr. Kolstad at his facial plastic surgery office in La Jolla. Give us a call at 858.859.2563 to schedule your appointment today. We are conveniently located in in La Jolla between I5 and I 805. We serve men and women in La Jolla, Del Mar, San Diego, Rancho Santa Fe, Solano Beach, Encinitas and Southern California.